SCATT WM9 is an electronic training system with wireless optical sensor. It is intended for use with pistols (or pistol models) of 9 mm caliber. 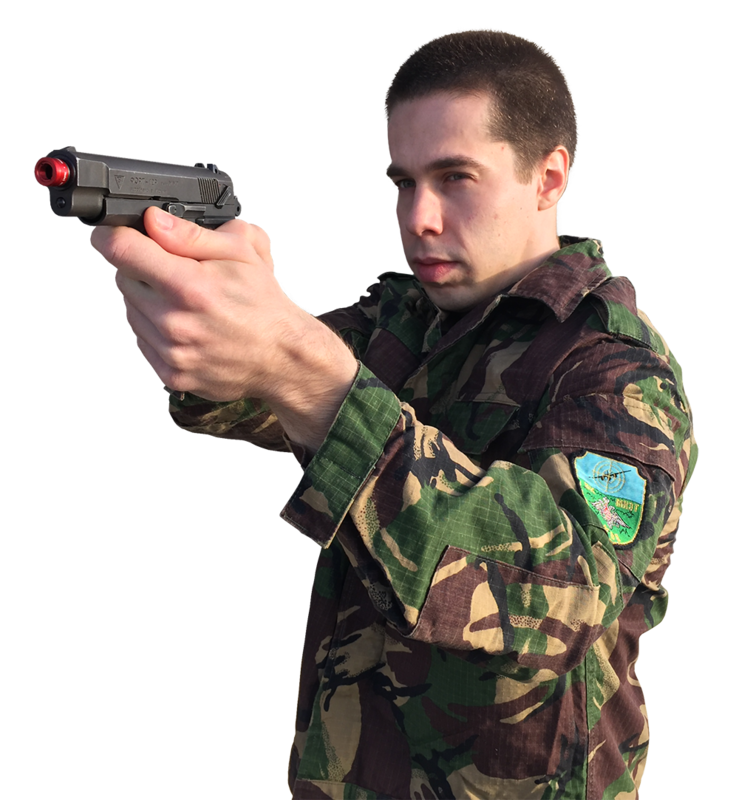 SCATT WM9 is used for indoors training at distances from 4 to 6 meters and imitates shooting up to 300 meters. 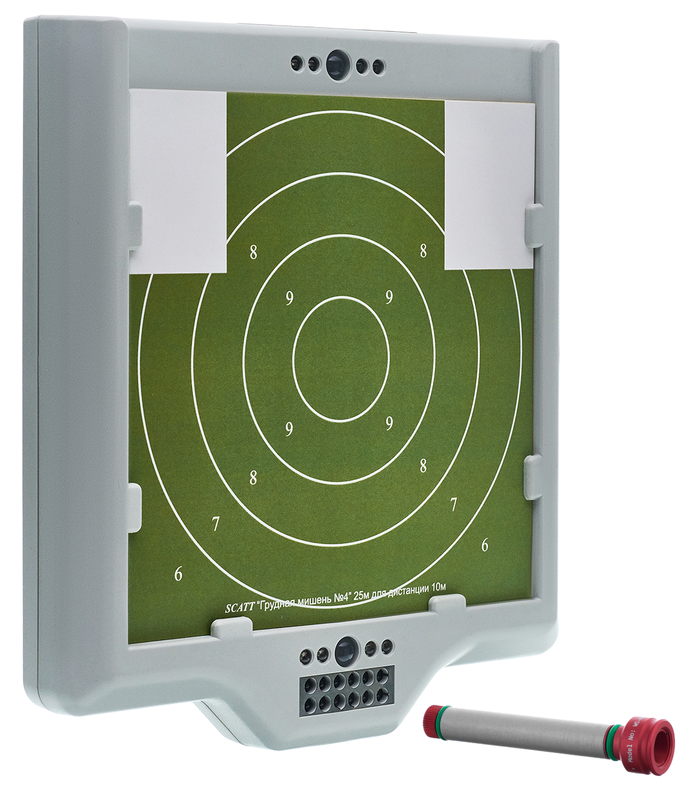 The training system comes with an electronic target frame, into which a paper target is inserted (it can be hung on the wall, bullet trap or mounted on a tripod) It connects to the computer without requiring a separate power source. The paper target can be automatically scaled down in the SCATT Software and printed on a regular printer. Electronic target frame can be used at distances from 4 to 6 meters, allowing you to train in different rooms using a single device. There are red and green light indicators at the top and the bottom of the frame for timed fire practice (e.g. for match pistol shooting). The wireless optical sensor (model WS-M02) can be inserted into 9 mm caliber barrels. It precisely registers weapon's alignment during aiming and at the time of the shot (release of trigger). The sensor weighs only 6g (including battery) and practically doesn't affect the gun’s balance. 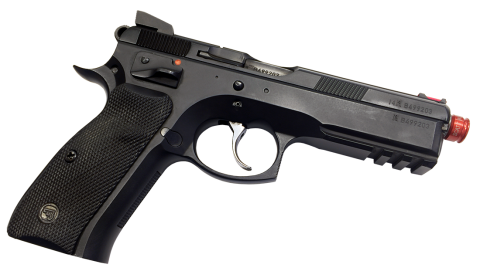 Software allows automatic calibration of the sensor relative to the aiming axis, so there is no need for adjusting the sights of the gun. The sensor compensates pistol cant automatically! The battery life (1.5V – AG5, 393 or similar) is about 10,000 shots with an average time of sighting of 3s. When idle the sensor automatically switches to power saving mode. The system comes with modern, user-friendly and functional software - SCATT Professional. It includes all the necessary features for training and analysis at the highest level.